Please contact me with your email address so you can get your certificate. 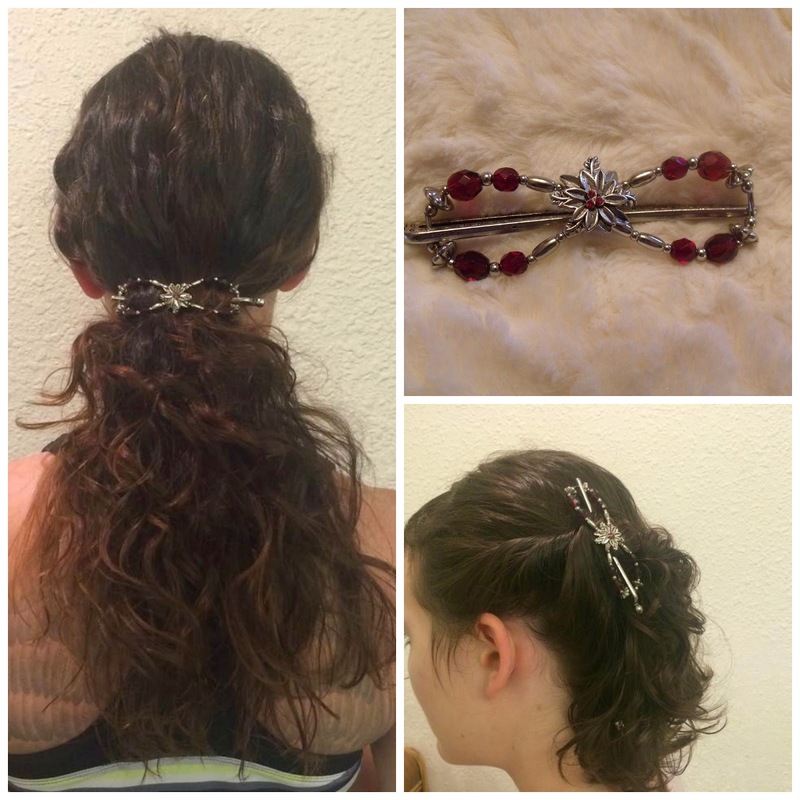 In honor of Valentines day and to show my love for all of you, I along with the help of Jennifer of Lilla Rose, are offering this wonderful give away. We had the opportunity to review this product and I just love it. I love it so much I have ordered another one. Worked on short hair and long hair. 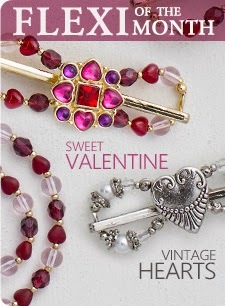 Win a certificate for one item up to $16.00 from Lilla Rose. 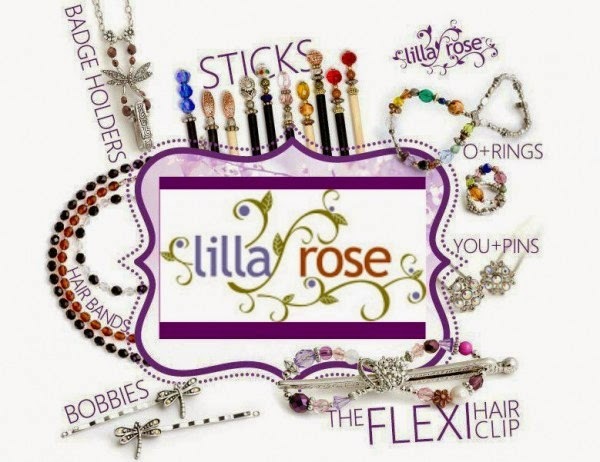 Lilla Rose Check out her wonderful products. We will be drawing a winner Wednesday February 16th. Please be sure we have a email address so we can notify you. if we do not hear back in 24 hours, we will draw again. While running through our quickie mart grabbing some thing I forgot to add to the shopping list, (how does one forget to add supplies?) I spotted these flowers on the way to the check stand. At first I walked past them, after all they were not very pretty. But, there was a touch of color. We are living in a color depraved valley right now. So before I could over think the binge I grabbed a bouquet and put them in my basket. 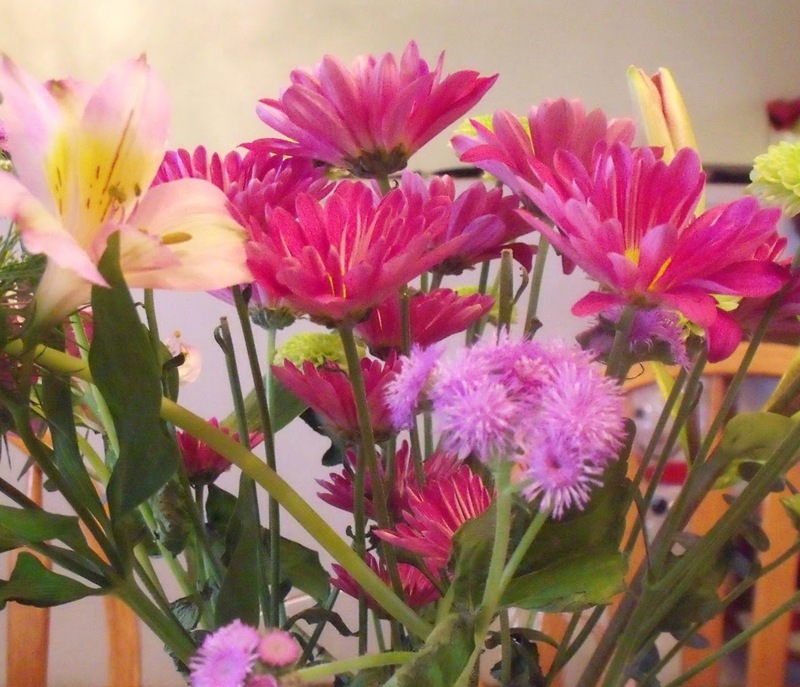 Something about these flowers made me feel happy. 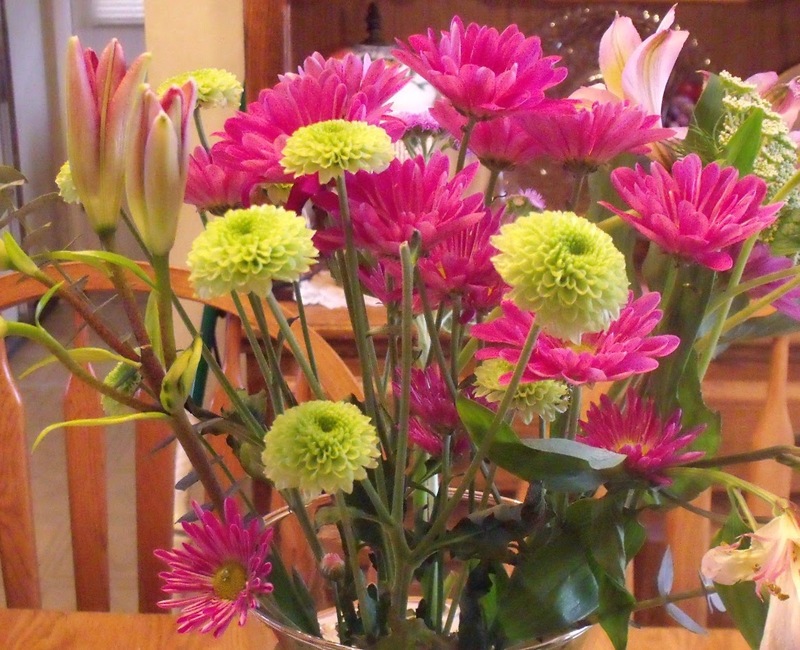 A little scarce looking, I call them my "Charlie Brown bouquet". Still they made me feel happy and I wondered why do I wait for special occasion's to buy flowers?? I will now add flowers to my shopping list. Maybe not flowers from the quickie mart. Even though I think I gave them a good home, I will try to remember every day is a special occasion. Let us rejoice in it.